Bruce Larkin realize that many popular sayings do not tell the whole story. Bruce has taken some popular sayings and added a bit of wisdom. An enhanced saying is called a Bruce-ism. (but it will eventually soil your palm). (if the man isn’t much for conversation). (unless she shares stuff she doesn’t like). (but it can connect them with a magic marker). (which is one time too many). (which is a fancy word for the catering bill). (especially if you bought it from a street vendor). (if the doctor has a fruit phobia). (but seldom isn’t the same as never). (unless you’re delivering blood for a transfusion). (because it’s usually your own). (especially if you plan on having an omelette for dinner). (if it was past its “use by” date). (but do cut off your nose if you’re Pinocchio and you need kindling). (unless you want to see big, yellow teeth). (unless you only have one egg). (but also causes him to miss prime time television shows). (which is still no reason to believe you can save sunshine). (but really good things—like private jets—come in gigantic packages). (but might also be a bit slow). (to come up with reasons why it’s not your fault you failed). (until the air conditioner is repaired). (if you haven’t paid your electric bill). (so move your lightning rods regularly). (may not be great advice, but it’s almost a tongue twister). (means you should eat until your stomach hurts if you want to be a sumo wrestler). (except realizing someone didn’t tell you the truth). 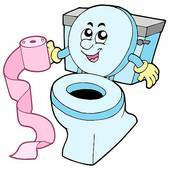 (so flush them down the toilet even after you think they have stopped breathing). (so don’t sneak any meat from another person’s plate). (if you substitute enough letters). (unless it’s the word “fire” when I’m in front of a firing squad). (unless the tree is growing on a steep slope). (if you have rich grandparents). (but it’s also the first one bagged by a hunter). (when you’re standing on the edge of a cliff). (if your neighbor uses a lawn service). (but not as good at scaring burglars). (but it also gets replaced by a wheel that doesn’t squeak as much). (but that’s a pretty gross way to get there). (because some old fools can be sold as antiques). (and drive their history teachers crazy). (but they wreak havoc with your hat budget). (or bitter, fearful, or angry). (but you can be too old to remember what you recently learned). (which is why you should eat other people’s cake). (unless it believes you are never too old to learn).